The Spawning Shrimp is a fine shrimp imitation by Enrico Puglisi. 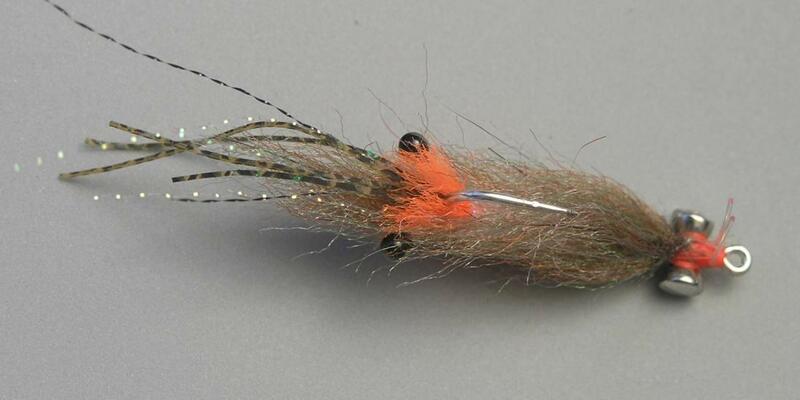 Useful as an imitation of a mantis or "snapping" shrimp. At spawning time, some shrimp species exhibit an orange egg mass, imitated by the orange yarn on this fly. 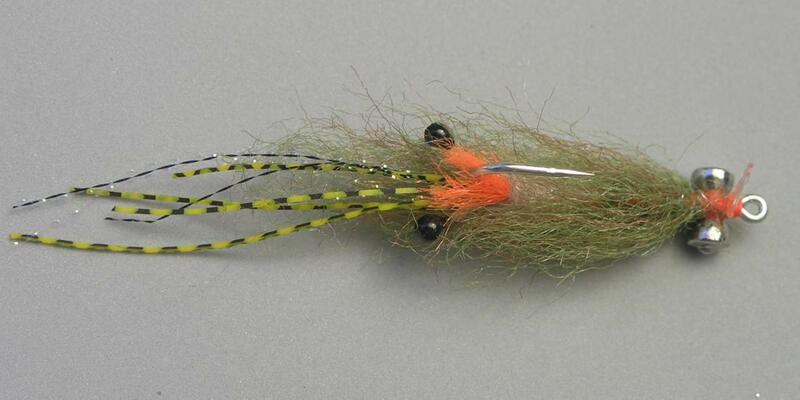 Includes a monofilament weedguard. Pictured above are #4's...the #1/0 fly is a bit larger and heavier. The #6 is the smallest size. 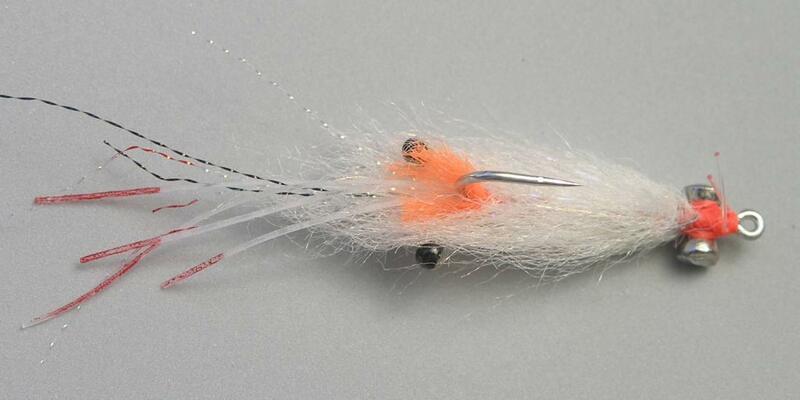 The flies weighted with Bead Chain Eyes are the same pattern, but they feature silver bead chain instead of lead eyes, and are lighter in weight. Click on any of the photos shown above to see enlarged view. New for 2017 is the very nice Coyote color which features spiky guard hairs for added attraction. 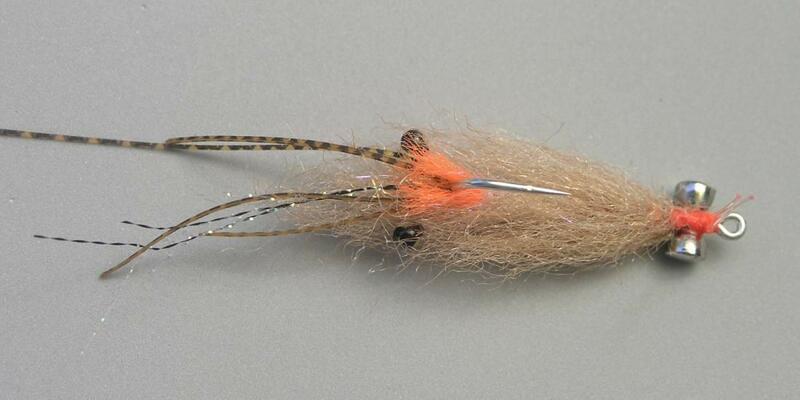 Enrico's Spawning Shrimp flies are tied on Gamakatsu hooks. 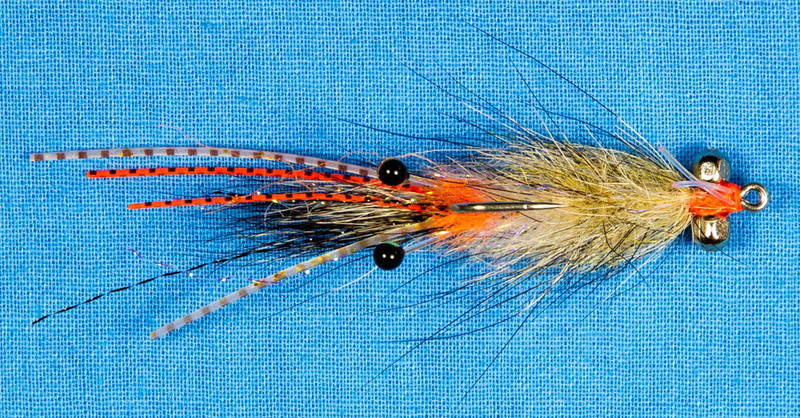 Fly design by Enrico Puglisi - tied by Enrico Puglisi LTD. The #4 fly is approximately 2 1/2 inches (6)cm long; the #1/0 fly is approx. 3 inches (8) cm long. Similar flies: Enrico's Mantis Shrimp and Enrico's Ghost Shrimp.